I love to recreate cartoon characters as you probably already know. I picked Felix because I found a great picture that allowed me to use all my brightest Illamasquas. I painted a few coats on plastic and cut out the squares for this design. It is done on Illamasqua Cameo. I love your Felix, he is so happy! The cutout squares are a genius idea, I love how crisp they are. So adorable :) And I would never have thought to use the cut out squares! I'll have to consider that method! So cute! Love the block letters! So adorable....and cutting those squares is a fabulous idea...I'm sure it's a huge time saver! this is genius!!! 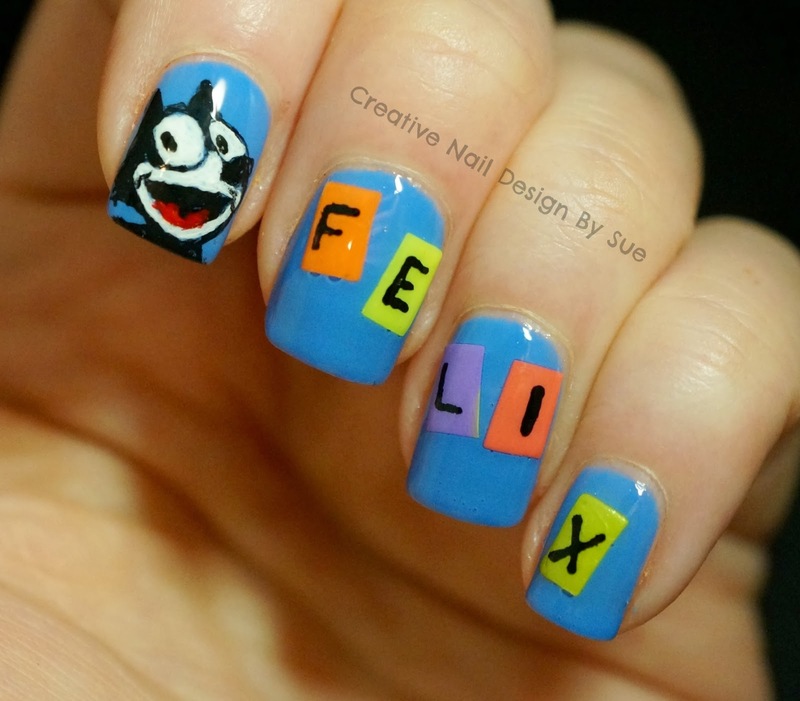 felix was my all tme favorite when i was a kid! I really love your Felix interpretation!!!! NAIL TWIN!! These are so bright and happy! I love the square technique, gonna have to try it!